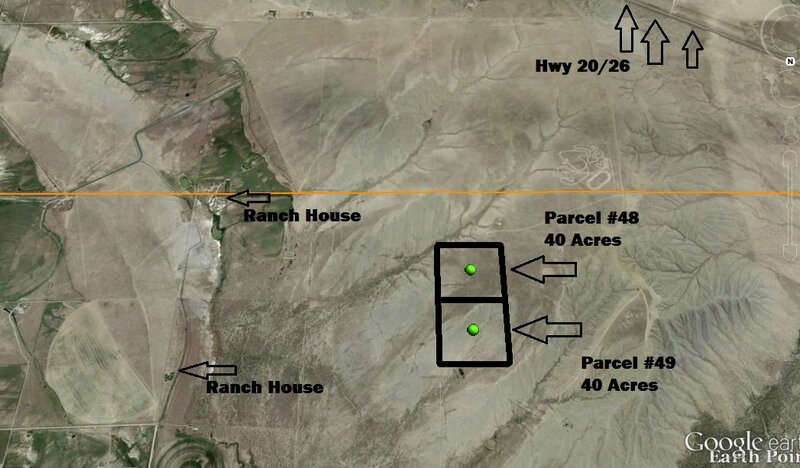 40 Acres Near Casper, Wyoming! #48 is open! #49 is SOLD! Description: Located just a few miles outside of Casper (the business and financial center of the state) with spectacular views of the Casper Mountains! There are only a limited number of these parcels still available and when they are sold you may never again see such prices and terms so near a major city. Price: $29,995 with $995 down and the balance of $29,000 payable at $290/month financed at 9% interest over 186 months (no credit checks and no prepayment penalties). SOLD! NE ¼ SE ¼ SEC 32 T35N R81W ( RB 49c)SOLD! 49 is SOLD! Access/Roads: This parcel borders State Hwy 20/26 but there might not be direct access off the state highway. However there is recorded access via a nearby off ramp. 40 Acres Alcova, Wyoming! Pedro Mountain Ranches!